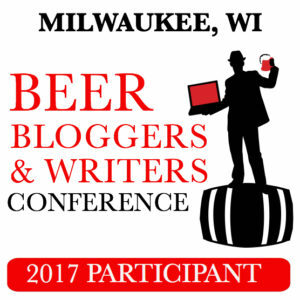 Beer blogger and writers from around the country will gather in Milwaukee August 4-6 to explore the city’s beer scene and hone their skills at the 2017 Beer Bloggers and Writers Conference. 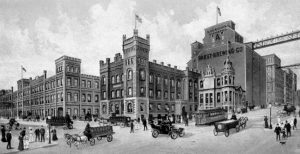 The 2017 conference takes place at Best Place, the site of the original Pabst brewery. As always, Julia Herz of the Brewers Association kicks off the conference with an entertaining and informative presentation on the current state of craft beer. I’m particularly interested in a presentation from Randy Mosher on techniques for identifying flavors and other characteristics of beer – and how to describe them to others. Mosher literally wrote the book on tasting beer, and his recent book Mastering Homebrewing is equally excellent. His presentations are always humorous, high energy, and saturated with useful information. Frank Boon of Belgium’s Brouwerij Boon will present on the history of lambic beer and the art of producing lambics through spontaneous fermentation. Susan Evans, Director, Smithsonian Food History Programs at the National Museum of American History will discuss the Smithsonian’s American Brewing History Initiative. And we’ll even spend some time learning about The Big Squeeze – seven market forces affecting breweries and bloggers. The National Beer Wholesalers Association‘s Chief Economist, Lester Jones, will be on hand for a discussion of past and current beer industry demographic and consumption trends, providing insight to the future of beer. Lakefront Brewery, Good City Brewing, Brenner Brewing, the Pabst Milwaukee Brewery, and MillerCoors are hosting various beer events and many other breweries are participating throughout the conference. If you hurry, you can still register to take part in the fun. I’ll be posting a variety of pictures and tidbits of information throughout the conference, so be sure to follow on twitter and facebook if you want to live vicariously through that lens.